Cargo VPN can encrypt your internet connection to keep your IP address, location, personal communication, and the websites you visit private. You may know this already but your internet service provider is able to see your internet traffic and they have logs of your browsing history. It’s good to know how to browse privately, which is what an unlimited VPN can do. Cargo VPN works on a range of devices and one account can protect up to five devices. If you have more devices then you do have the option to protect more. It’s important to know how to use public Wi-Fi safely. A good VPN keeps your personal data safe when browsing from an airport, coffee shop, or anywhere else offering public Wi-Fi. Cargo VPN is the best VPN for Wi-Fi security because it is able to detect when you are on an unsecure public network and properly encrypt traffic. Cargo VPN protects your privacy when paying for bills, checking your online bank account, logging into social networks, entering your billing information when online shopping, and more. Different countries have certain internet censorship laws. These laws restrict access to certain sites. Sometimes entire websites or services are blocked and sometimes only a specific video is, such as on YouTube. Bypass internet filters and unblock sites by using Cargo VPN to access every website and service you can think of. If you don’t use VPN services then your online activities will be collected, monitored, and analysed by the government. If you would rather avoid the government monitoring your internet browsing then you should use Cargo VPN. Cargo VPN prevents the government from being able to monitor online activities, communications, location, IP address, and more. It also prevents Google surveillance and Facebook surveillance. You never know who is watching you. You may have to pay more for rentals, airfares, software subscriptions, and online streaming depending on where you live. Try shopping for these products and services through a VPN as if you were in a different country and you may be surprised at the savings you can make by changing your geo-location. 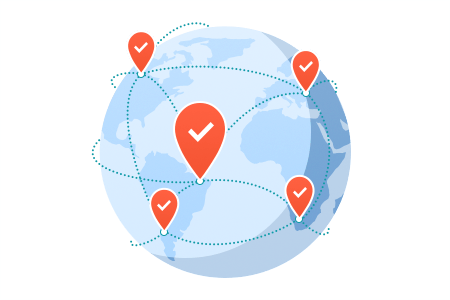 Our VPN solution comes with over a thousand high-speed servers spread across over 70 locations around the world, ensuring constant access to any service or website from any continent through Cargo VPN. An IP address can get blocked, and you may find yourself blocked when using a well-known proxy service. We can provide you with a personal static IP address that only you get to use. This gives you some extra protection and allows you to easily bypass online censorship. Get the best solution for privacy protection, bypassing internet censorship, and geo-location limitations. 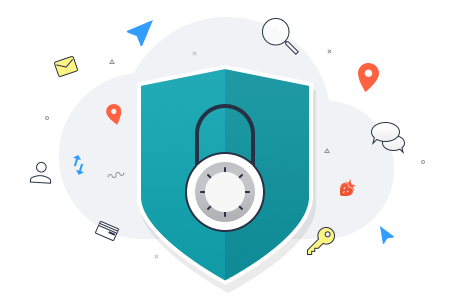 A personal VPN server provides strong and reliable protection while ensuring no one even knows that you are using a VPN server. This is even better than a personal static IP. Never again will you have to deal with malware, pop-ups, and websites attempting to steal personal information thanks to the power of a DNS Firewall. Four protection levels allow you to choose the level of filtering to block online tracking and malicious websites. Cargo VPN is the best VPN for torrenting. It hides the identity of people using services such as BitTorrent. Our VPN services hide your IP address ad allow you to fully enjoy P2P file sharing. Cargo VPN has a DNS Firewall service that allows you to filter URLs and protect against malware and malicious websites that steal personal data. DNS Firewall allows avoiding malwares and malicious websites which are stealing your personal data. We can take care of all your VPN needs with over 1,000 servers in over 70 locations. You’ll be able to enjoy privacy no matter where you are and where you travel to. You’re welcome to try all the features of Cargo VPN for up to 24 hours to see how well it works for you on up to five devices. Keep your data safe from hackers, snoopers, and government agents with the highest grade data protection. The DNS Firewall blocks malicious websites and tracking systems, while also preventing ads and other pop ups to keep your whole family safe online. Cargo VPN offers the highest level of encryption to ensure privacy and give you total unlimited access to the internet. VPN users typically experience some drops in internet speed, but Cargo VPN has high speed servers that provide unparalleled speeds to users around the world. Our Cargo VPN support team is knowledgeable and friendly. We work around the clock to offer advice and answer any questions you might have. Cargo VPN is fully compatible with iOS and ready to download when you need it. Get the best iOS VPN app with Cargo VPN and stay secure when browsing the internet on your iPhone and iPad.